Patrick Stewart and four kids fight to stop Brexit. Another legend in the toilet. 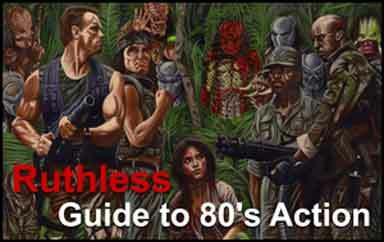 On the way home, my wife and I wondered if the movies we liked as kids were as crappy as this film. Are we remembering Flight of the Navigator and The Wizard far more rosily than we should? Even we know that Super Mario Brothers is the movie equivalent of underwear skid marks, so I would like to think it is more than just nostalgia. I am also not saying kids should not enjoy these movies. I enjoy some crappy movies every year, so who am I to begrudge them brainless entertainment? 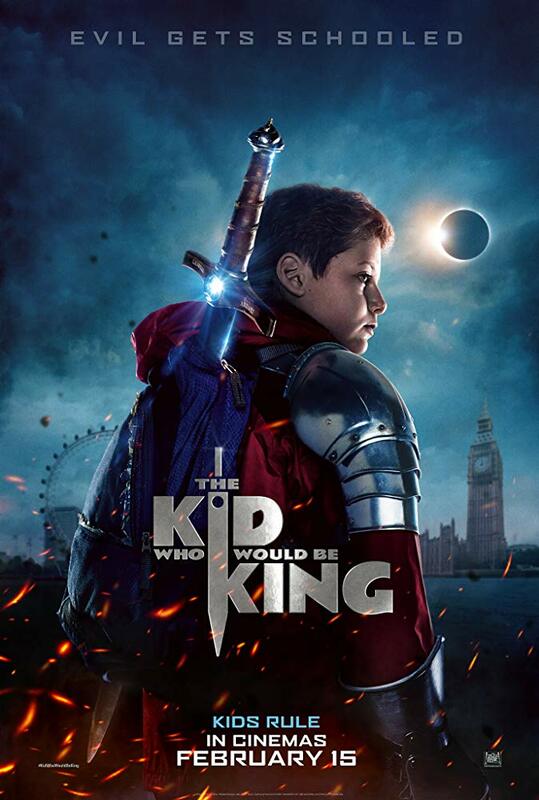 But it is still worth pointing out that The Kid Who Would be King represents the lazy writing and bad filmmaking pervasive of most kid movies that are not made by Pixar or Dreamworks. Look no further than the two recent toilet clogs called A Wrinkle in Time and Nutcracker and the Four Realms and you understand what I mean. The Kid Who Would be King starts out bad – with a speed reader’s version of the legend of King Arthur, presented in a cartoon format that looks like it jumped out of a Sandra Boynton book. That is not a knock on Boynton, but a knock on the filmmakers for presuming the audience has the collective intelligence of three-year olds. Opening narration is almost always useless and definitely lazy, but what makes it especially egregious in this film is that the entire rest of the movie beats you over the head with Arthurian legend anyway, including the main character literally reading aloud from a King Arthur book. 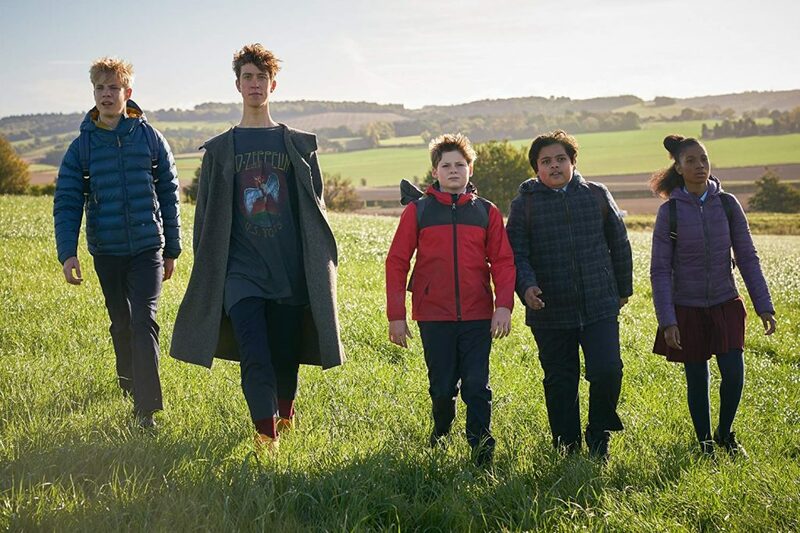 After that waste of time, the film introduces us to Alex (Louis Ashbourne Serkis), the stereotypical pudgy kid with a nerdy friend, Bedders (Dean Chaumoo) and two personal bullies, Lance and Kaye (Tom Taylor and Rhianna Dorris, respectively). Touching on one of my pet peeves, Alex gets in trouble for defending Bedders (who was actively being robbed by Lance and Kaye) by tackling Lance. Immediately after serving detention (with the bullies), the bullies chase Alex into a construction site and nary a teacher witnesses this, despite the chase starting on the steps of the school. I could rant about this for hours, but how about I just skip to the part where Alex wakes up after taking a fall in the construction site and pulls Excalibur from a chunk of concrete? No points for guessing who is the bully. He takes the sword home and shows it to Bedders and they have a laugh. Meanwhile, the evil witch Morgana (Rebecca Ferguson) wakes up in some random underground lair and resumes her centuries’ old plot to take over the world. Or just Britain (this is never really clear). To do that, she must have Excalibur because only the true king (or queen) possesses Excalibur. Just one problem. They tell us multiple times during the movie that Excalibur chooses its wielder. So, Morgana can never wield Excalibur and she knows this. Did I say this movie had lazy writing? Any lazier and it would be in a coma. We also get an arbitrary countdown, as all hero’s journey stories must. In this film, Alex and his knights (Bedders and the bullies for some reason) have four days to defeat Morgana because there is a solar eclipse in four days. Also, Morgana is rising because people have become bad enough to want Brexit, which returns her strength and the eclipse and stuff. I am not making this up. This film shows us news clips of Brexiteers and the divisiveness between people that caused it and now children have to buy and wear fake armor and fight a witch who can morph into a fire-breathing succubus-dragon. All because of racism. Oh wait, there is more. Merlin shows up as a young man (Angus Imrie) to help guide and train Alex and friends, but he can only help them during the day. Unfortunately, Morgana can only exercise her powers at night, so Merlin is pretty useless. Then again, sometimes Merlin is old (Patrick Stewart) and can sometimes help at night. Then again, again, Morgana can sometimes attack the kids during the day. I call timeout!!! Do not go in there. Whewwwwww! Compounding the nonsense seems to be the goal of writer/director Joe Cornish, and he does not stop with the Merlin/Morgana contradictions. The kids’ journey is filled with false quests like searching for a lost father (who turns out to be a drunk and whom they never find), going to an Arthurian castle where they are protected by magic only to leave said castle the same day, and travelling to the underworld to fight Morgana before she can rise even though they know (THEY KNOW!!) she has to come to them to get the sword. And just to put the rancid cherry on top, Morgana continually mocks Alex for believing in myths even though she is the myth. Is it too much to ask the lady of the lake to drown me in my giant soda? So, yeah, I was not amused by this film. To be fair, Imrie’s performance as young Merlin was a bright spot, and who doesn’t love Patrick Stewart? But the rest of the cast was mediocre and the Alex wasn’t even a good Arthur-analogue. A clever director would make Lance the main character – a bully who has to learn the virtues of knighthood and leadership – not Alex, who already believes the in the legend and does not have to grow by the end of his journey. With Lance, a real statement about bullying could have been made, but instead this movie treats bullying like a childhood rite of passage, as all movies do. But, when it comes down to it, my son loved watching kids fight enflamed skeletons on undead horses and that matters far more to studios than what a forty-year old man thinks. Rating: Ask for all of your money back, but not your kid’s.